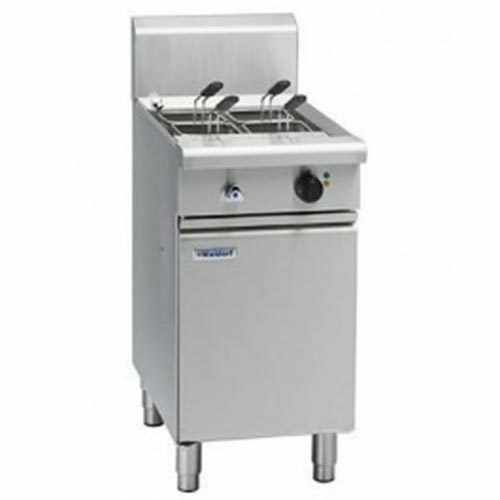 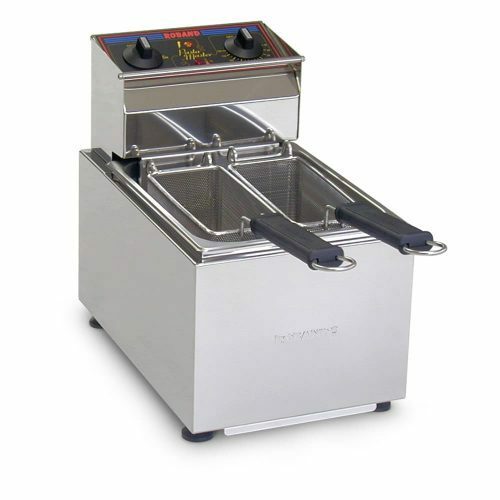 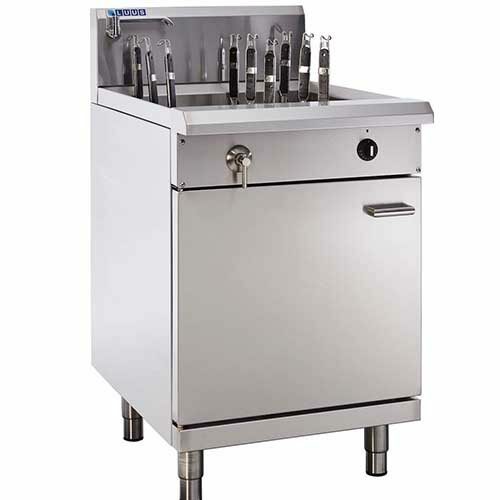 Turnover orders faster than ever with this great selection of commercial pasta boilers & noodle cookers. 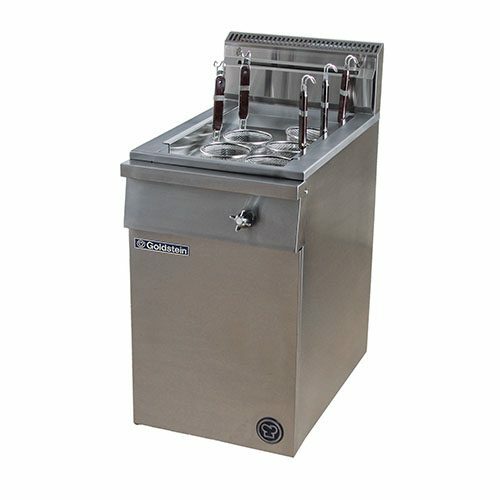 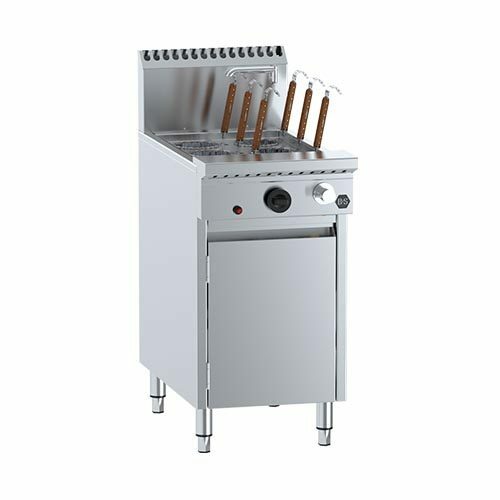 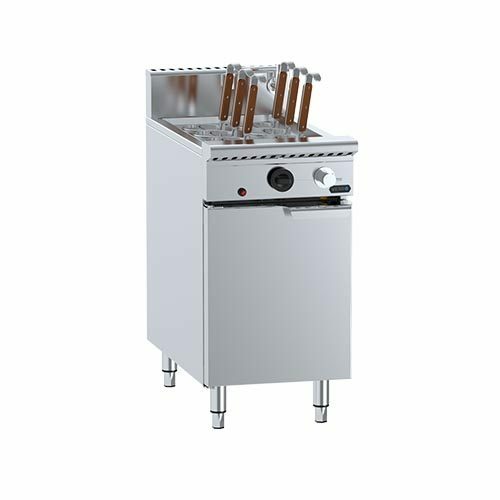 Commercial pasta/noodle cooker uses gas heat or electric elements to rapidly boil water and cook any type of pasta or noodles to perfection every time. 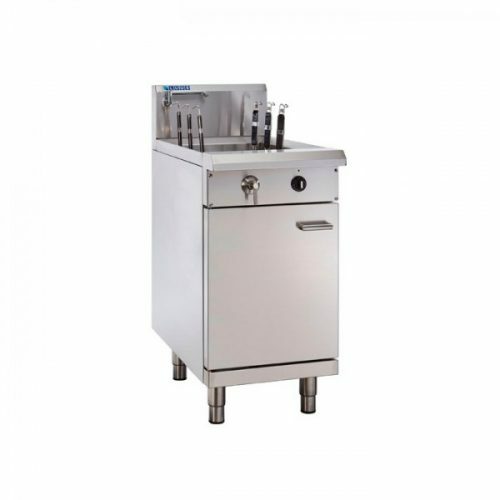 Whether you have a small or large amount of space in your kitchen, we will have the pasta & noodle cooker for commercial use that will suit your kitchen needs. 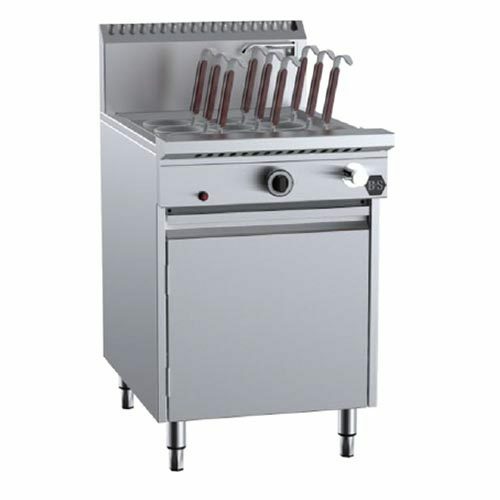 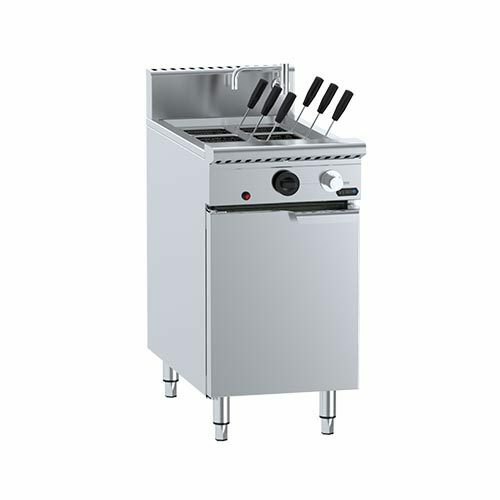 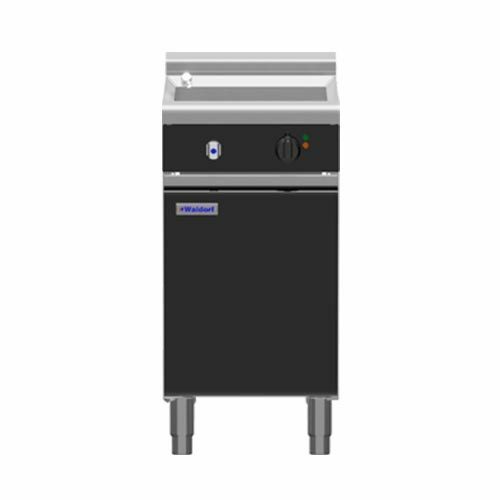 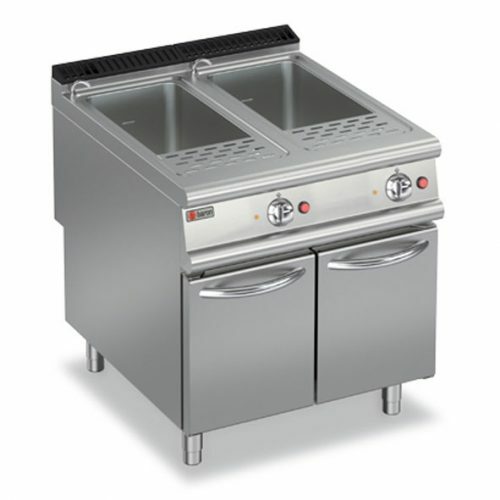 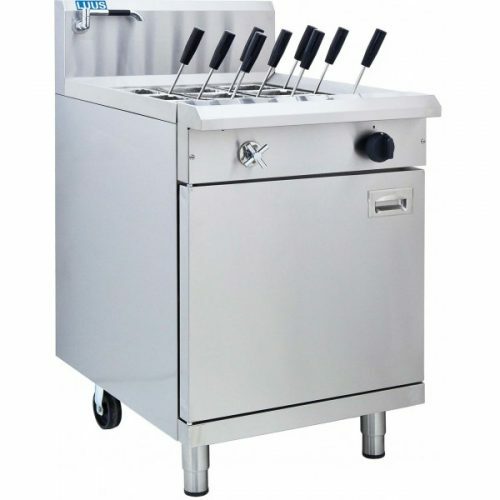 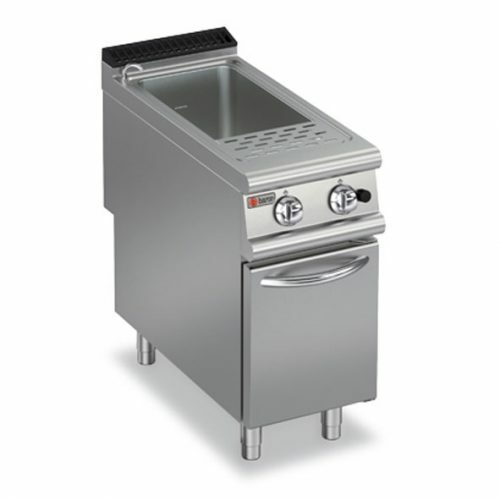 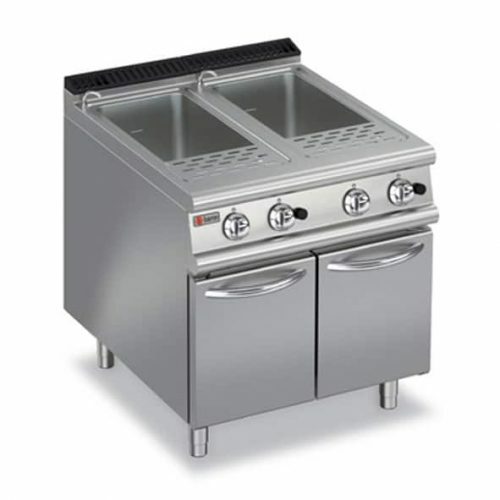 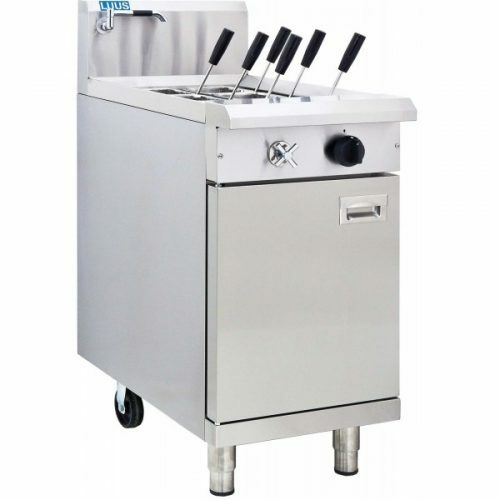 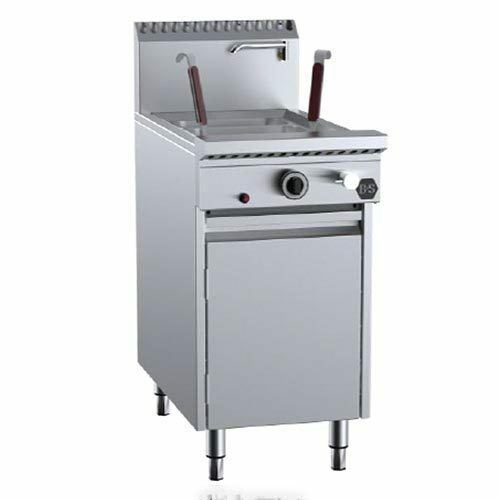 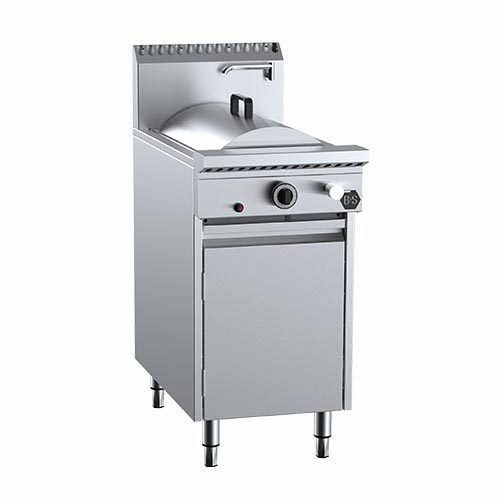 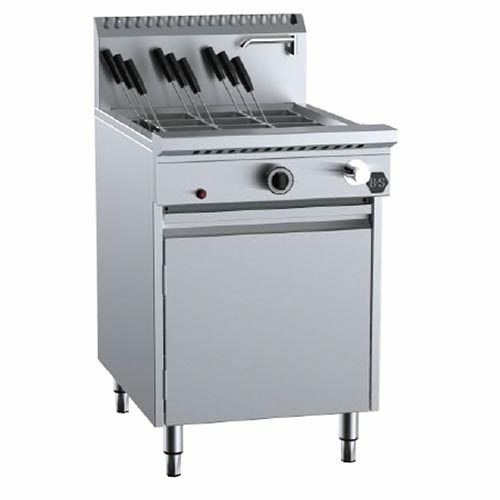 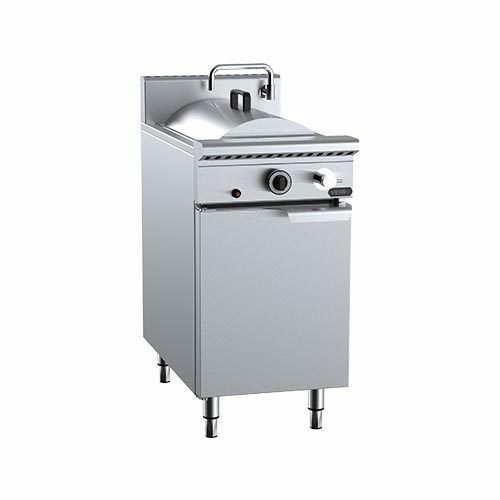 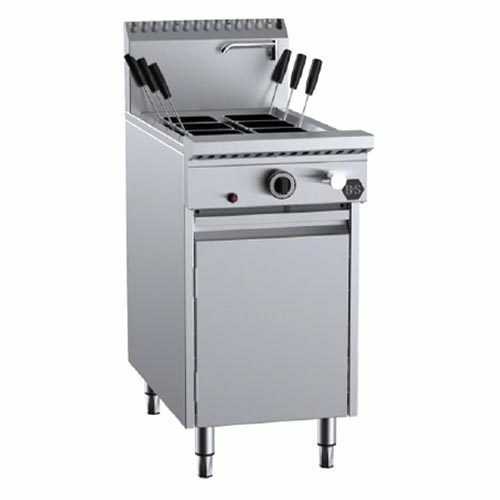 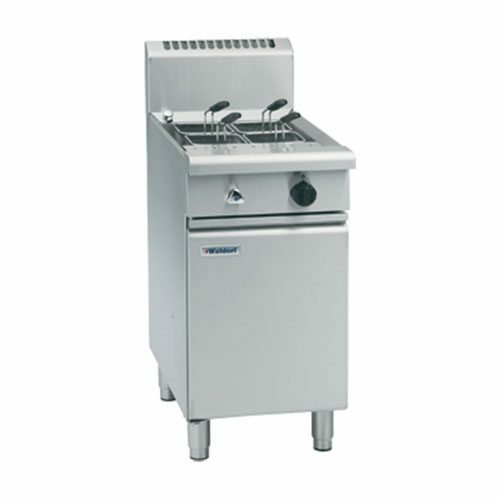 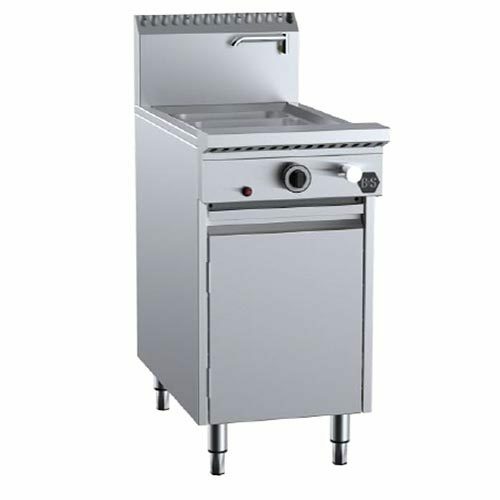 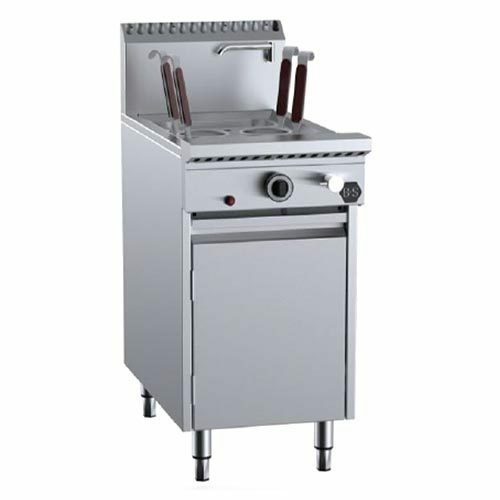 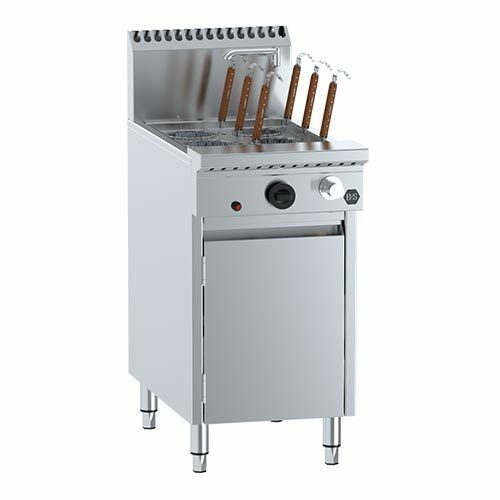 These cookers also come with a wide range of capacities, so you can accommodate your volume of sales. Most gas and electric powered pasta & noodle cookers come with either one or two compartments pan cookers. 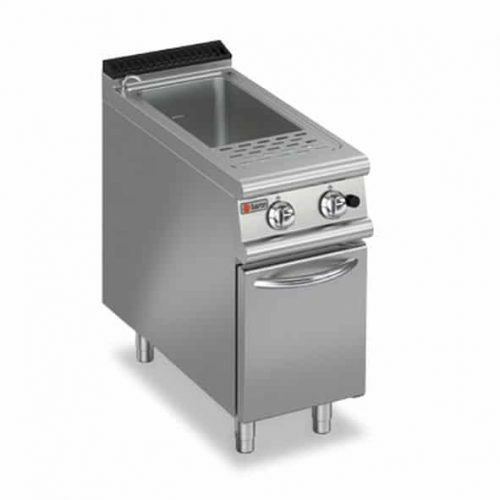 Some of them feature a dual-compartment tank. 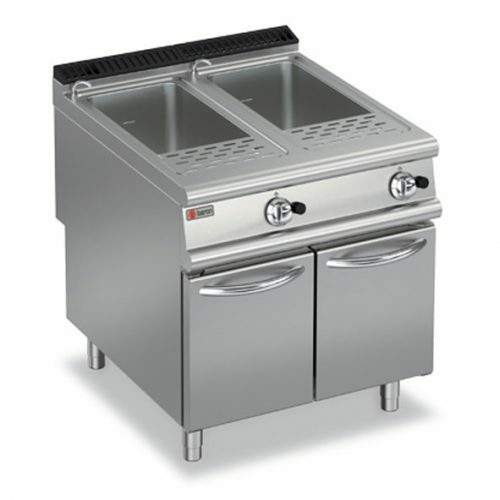 So you can have a one pan cooking pasta and the other pan cooking different type of noodles.